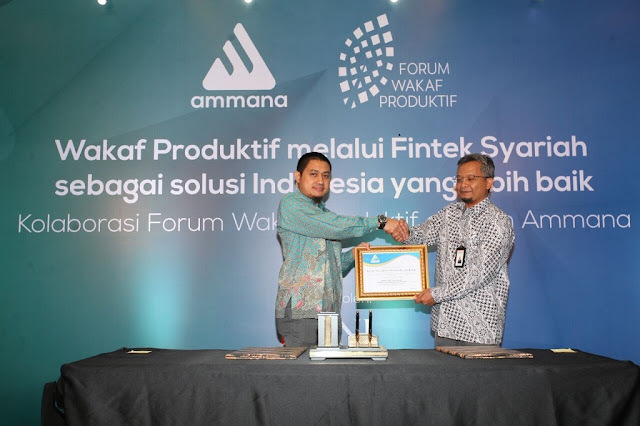 PT Ammana Fintek Syariah, a financial technology company (Fintech) provider of peer to peer lending Syariah investment platform has distributed sharia financing of Rp 3 billion until April 2018. Ammana Fintek Syariah Chief Executive Officer Lutfi Adhiansyah said the financing of Rp 3 billion was channeled to 360 customers from Micro, Small and Medium Enterprises (MSMEs) located in Indonesia. "We have disbursed around Rp 3 billion until the end of April 2018. It is from MSME customers who borrow an average of about Rp 3 million," said Lutfi, Friday (28/5). Ammana Fintek Syariah is targeting to finance Rp 100 billion by the end of 2018. Lutfi believes it can meet the target, as Ammana targets customers who have not reached the banking sector, namely customers in remote areas, borrowed below Rp 10 million and have not got access to technology. "We are willing to answer the challenge of the Financial Services Authority to improve financial inclusion in remote areas, which are not covered by banks. I say, our customers are marginalized people," said Lutfi. For now, Ammana Fintek Syariah gets funding from 600 investors. While the distribution is assisted by sharia cooperatives located in cities in Indonesia, from Java, Sumatra and is being expanded to Kalimantan and Sulawesi. About 87% of borrowers are women with additional business. They are housewives, who help her husband to meet the needs of the family. "Most are women, they want to keep up with her husband's finances. They work, like to join regular social gathering and get together with friends," he said. The value of loans disbursed below Rp 5 million, can be repaid between six months to a year. While loans above Rp 25 million, must be paid between one year and three years. Mechanism of payment, there are paid each month, some are paid several months and then immediately paid in full.